Dean Mitchum: "God's Mercy Rain: A Release Over the Land"
"God's Mercy Rain: A Release Over the Land"
God is moving mightily in these summer months...and I don't know about you, but I don't want to miss what He is doing! Like a miracle rain over a summer forest fire, the Lord is releasing a mercy across this land. Where the fires of hatred, controversy, and mistrust have burned, He is pouring out a mercy rain that will bring healing to the nations. The raging wild fire and the parched land are both changed by rain. A divine intervention will turn the heads and hearts of people. A refreshing, cool wind and water will hit the faces of people and cause them to look again at new possibilities. Word from the Lord, "Where deception and divisiveness have been, will now come truth and unity. The power of deceit will be crushed by the power of forgiveness. A mercy rain will fall upon Believers and drop like ashes on the head of the enemy." That phrase, mercy rain, kept coming back to me and I felt God was speaking more on this. The vision I had was that of multitudes across the nation—struggling in conflicts and situations—being drenched by this rain. They were fighting battles of distractions and causes and were not seeing the strategic plan of the enemy. The mercy rain began to wash away the perceptions and judgments of others and their eyes were enlightened to truth. Something greater than the opposing forces began to have an effect upon the conflict. And where the real enemy had caused division, the forces fighting began to see each other in a new way and started to turn against the devil and his hoards, sending shock waves through the kingdom of darkness. The mercy rain is penetrating prejudice and wrecking racism. The hearts of those who have judged will see new mercy and become like new men. The point of conflict will become the place of revival. Years of conflict that have been a way of life are giving way to the freedom of forgiveness. The sound of forgiveness will bring healing in previously held strongholds of the enemy, causing miraculous signs and wonders. Those in positions to extract revenge will find themselves offering mercy and changing the course of cities and neighborhoods—seeing new mercies every morning. Let us prophecy this rain together. Let us sing the songs of the release of Heaven and sing of the mercies of the Lord and let mercy rain down. 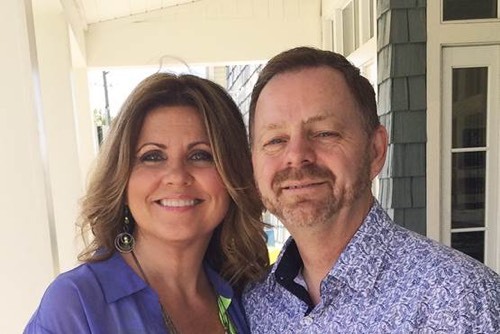 Dean Mitchum serves as the Director of Worship Ministries for Bishop Bill Hamon of Christian International and as the Worship Pastor for Apostles Tom and Jane Hamon of Vision Church@ CI. He is a powerful, prophetic psalmist specializing in writing for the current moves of God, playing prophetically, and leading worship that changes the atmosphere. Dean is the author of Apostolic Kingdom Praise, The Tabernacle of God, and along with his wife Lisa, is the co-writer of more than 100 worship songs. Dean and his wife Lisa have been married 32 years and have five children and four grandchildren. They make their home near the beautiful emerald coast on the Florida panhandle.